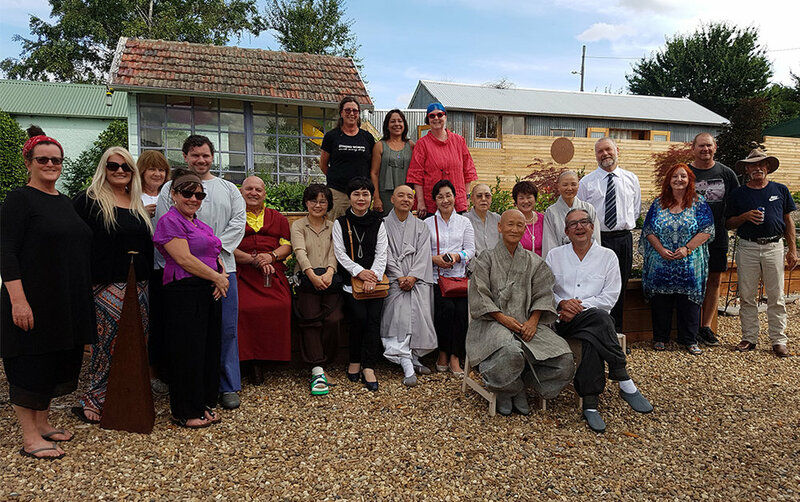 This week the Tea Guild of Australia hosted the Venerable Sang Kag Sunim from the Jogye branch Temple in Busan, South Korea, at the Tea Guild of Australia Tea House in Crookwell, New South Wales. San Kag Sunim was joined by the Venerable Ki Hu Sunim, Abbot at the Jeongbeop Temple in Belfield, Sydney. A further eight members from the Jogye Order of Korean Buddhism also joined members of the Crookwell community, local council members and the Crookwell Gazette. Directors Steve Carroll and Owen Terry were on hand to welcome our local and international guests, before San Kag Sunim performed the ‘Flag’ and ‘The Milky Way’ Korean tea ceremonies. After the ceremonies, a selection of traditional Korean dishes prepared by Mandy McDonald, and members of the Crookwell community, were served to the attendees. 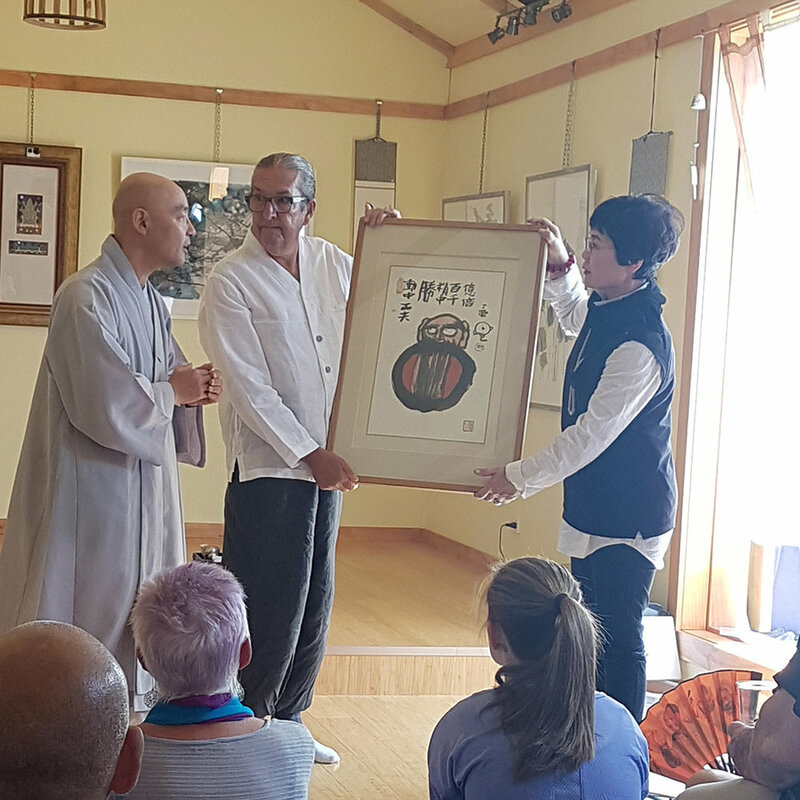 Organisers from JongBopSa contacted the Guild at the request of Sang Kag Sunim prior to her visit from South Korea, so that she could experience first-hand how Korean tea culture is being taught and supported in Australia. “It is an incredible honour to have the Venerable Sang Kag Sunim request to visit the Tea Guild of Australia personally and to experience these wonderful traditional ceremonies”, said Director Owen Terry. “We have also been invited to visit Sunim in South Korea on our next tour in May 2018, which is very exciting”. The Tea Guild of Australia will again be present for a ceremony at the JongBopSa in Belfield, Sydney this Sunday 7th January.